A fire burning a pine forest in a mountainous area west of Athens has prompted nearby residents to flee their homes, as smoke from the blaze turned much of the sky over the Greek capital orange. The fire department said five water-dropping planes and two helicopters were battling the blaze Monday in the Geraneia mountains near the seaside settlement of Kineta between Athens and Corinth, along with 30 firetrucks and 70 firefighters. 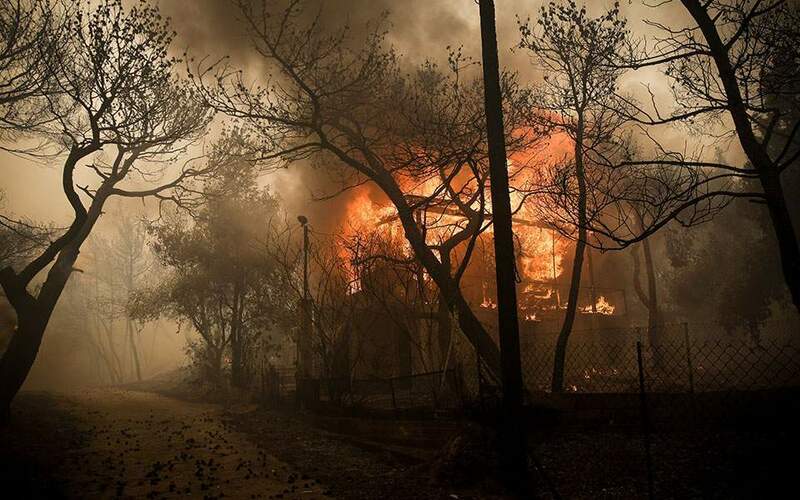 Footage from Greek TV station Skai showed the fire burning inside yards, with residents escaping in cars and on mopeds.